A dancer, a meteorologist, a musician, and a librarian walk into NASA’s Jet Propulsion Laboratory (JPL) in La Cañada Flintridge, California. 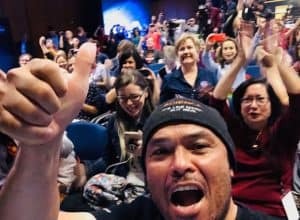 This is not the set up for an elaborate joke but rather part of the diverse combination of participants in a stellar NASA outreach program that invites social media influencers from all walks of life to cover key NASA space exploration events—like the InSight Mars landing on November 26. 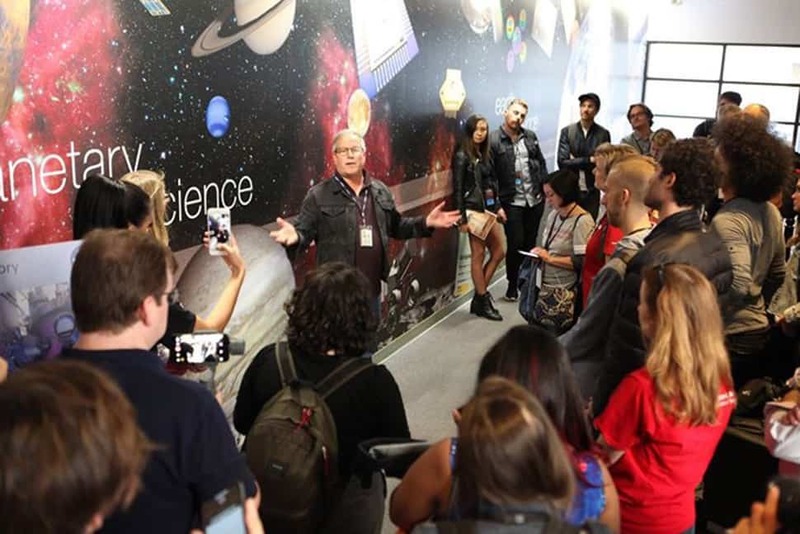 The NASA Social program, originally called NASA Tweetups, began in 2009 and has included thousands of participants for events that range from several hours to two days. NASA “socialites” receive the same access to press events as journalists—with additional exclusive behind-the-scenes access to NASA facilities, scientists, and engineers—and are encouraged to use their social media skills to build connections between their unique communities and NASA’s mission, people, and programs. Thirty enthusiastic individuals from a wide variety of backgrounds participated in the InSight Mars Landing Social. They hailed from across the US, Europe, and Canada. 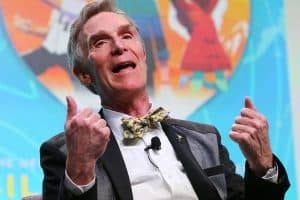 The participants were chosen from more than 700 applicants in a highly competitive process that required, among other factors, having an active social media presence that could reach an audience different from that already available to NASA. This two-day event included tours of the JPL campus with access to Mission Control, the Indoor Mars Yard (a simulated Martian landscape used to test InSight‘s functions), the Mars 2020 Clean Room (a protected sterile environment where the Mars 2020 Rover is being assembled and tested), and the Microdevices Lab. Socialites also met with NASA leaders and innovators, including Bruce Banerdt, InSight principal investigator; Tom Hoffman, InSight project manager; and NASA Administrator Jim Bridenstine. As part of the program, socialites also participated in the coverage of the historic Mars landing alongside professional news outlets and had the opportunity to converse directly with NASA leaders. On November 26, the socialites gathered with members of the media in JPL’s Theodore von Kármán Auditorium to witness Mission Control’s live broadcast of the “seven minutes of terror”—the nickname for InSight’s entry, descent, and landing on Mars because it includes a period of free-fall and rapid deceleration just before landing. Although there was much nervous excitement, the NASA Social organizers were well prepared with a large supply of “lucky peanuts,” a NASA tradition widely credited with successful space missions. Each phase of entry and descent was met with applause and, at the final moment of touchdown, an explosion of cheers. Soon after, the InSight mission team entered the auditorium for a post-landing briefing at which the NASA Social group experienced the rare opportunity to share an historic event with NASA team members. 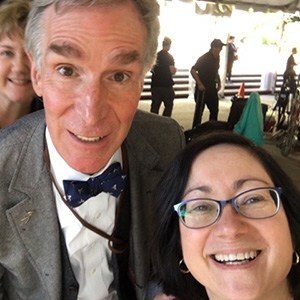 For librarians, the NASA Social program offers unique benefits, including the opportunity to take part in lifelong learning, which gains greater significance when experienced firsthand. NASA’s leaders were eager to share their enthusiasm and experiences and generously responded to the questions of NASA socialites with the same thoughtful consideration given to those of professional journalists. 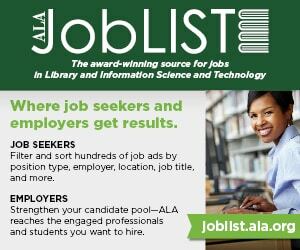 NASA Socials can provide an opportunity for librarians to connect to a broader sphere of scholars, artists, and professionals beyond those they might typically encounter. At the InSight Mars Landing Social, participants represented significant larger organizations, including National Geographic, Girls Who Code, the Monterey Bay (Calif.) Aquarium, the American Society of Mechanical Engineers, and European Schoolnet, a network of 34 ministries of education. 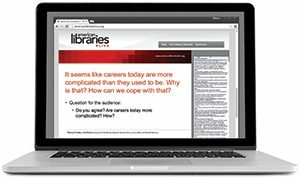 Making these connections supports outreach about the mission and role of libraries in an increasingly complex and technological world. More information about NASA Socials is available by following NASA on Twitter @NASASocial and at the NASA website.